Looking for a place for lunch with a friend for his birthday, he mentioned that there was a new “best burger” (from early February, 2017, voting from Access Atlanta) in town that he had read about – at 1910 Public House in Lilburn. Our decision was made for us. 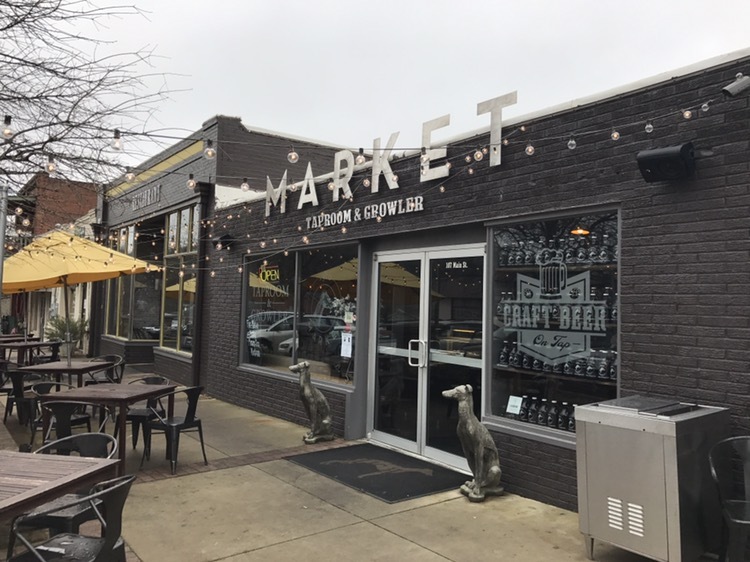 Traveling into old town Lilburn, the storefront for the restaurant also contains the Market – a taproom and growler store. The Market also seems to be the entrance to the restaurant. In fact, there was actually a table placed in front of the doors in the restaurant itself. We were seated at a table along the back wall. The lunch menu was fairly extensive, with small and large plates, sandwiches (seafood, chicken, veggie), salads and burgers. All of the sandwiches and burgers were served with a choice of either fries, potato chips, potato salad or chipotle coleslaw. You can upgrade your side to sweet potato fries for $1, or to a side salad or soup for $3. We both went with the Public House burger, as a burger was the reason for the visit. When we were there, the 8 ounce burger was listed as CAB (certified angus beef), but I notice now on the menu that it is listed as Braveheart beef. With a bit of Googling, I found that Braveheart beef is a specific method for raising black angus beef. The burger was topped with pimento cheese, bacon jam and a fried pickle. 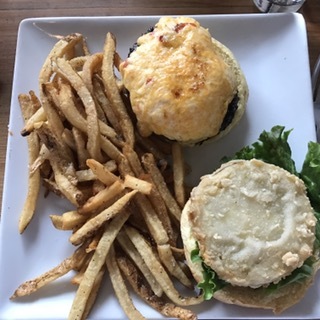 The burger was cooked to a perfect medium and the house made pimento cheese was creamy, with the right amount of bite from the pimentos. I omitted the fried pickle, but my lunch-mate really enjoyed his. 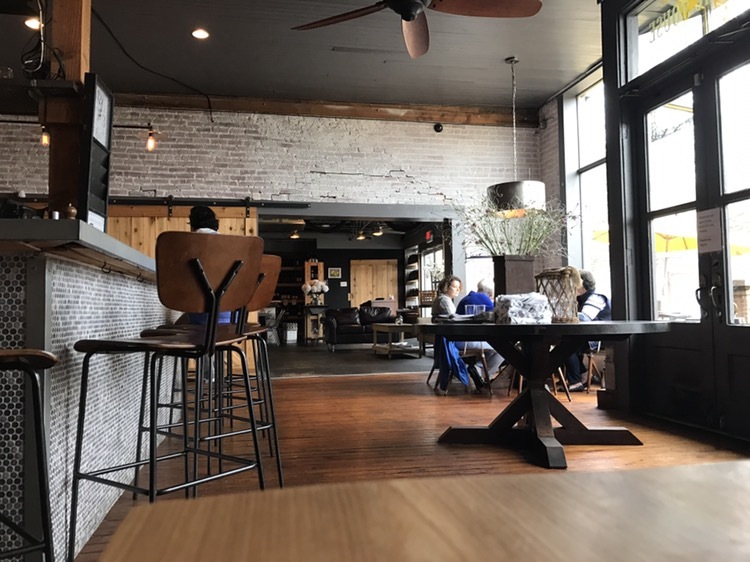 Is it the best burger in Atlanta? I don’t know, but it was darn good.